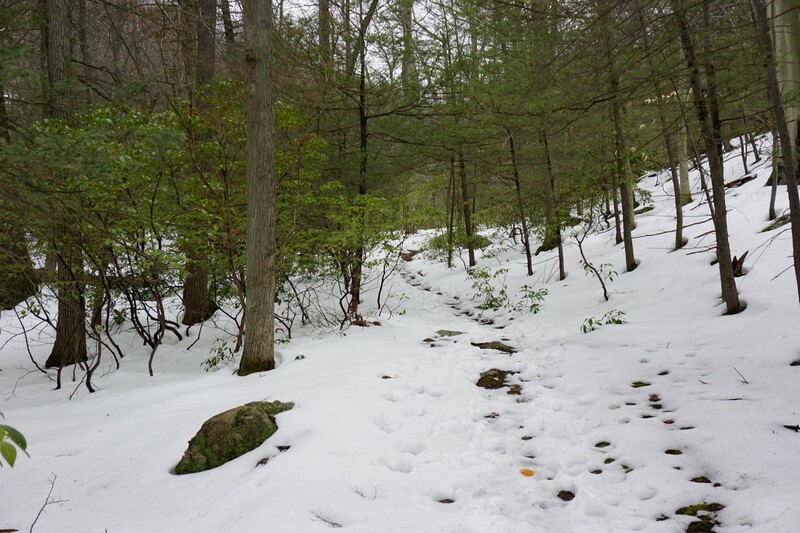 I wanted to go a bit further north so I could still get some snow in the hike. 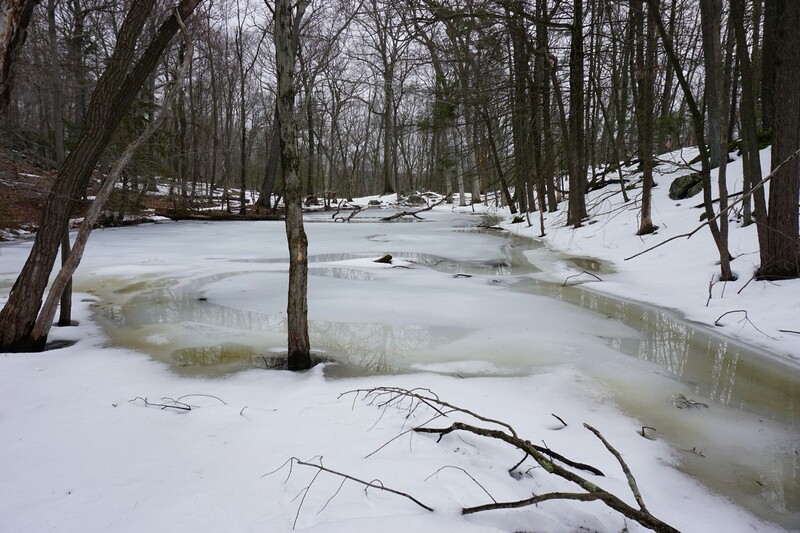 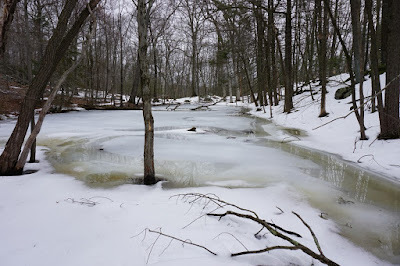 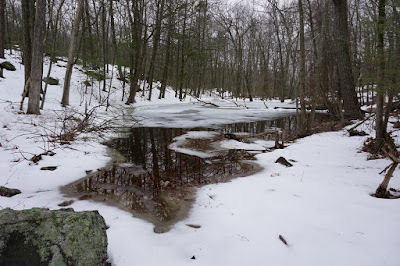 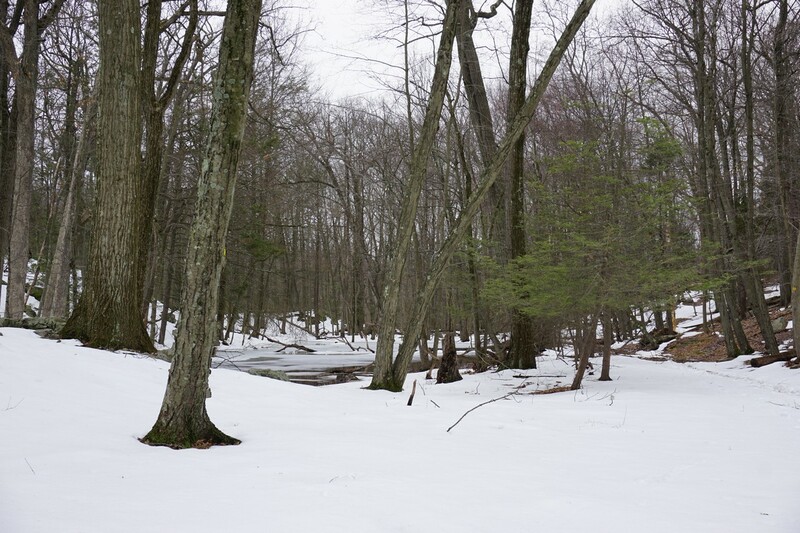 The snow was still present along most of the hike, but was melting and left things very wet. I parked on Cross Road between Route 403 and Route 9 right near the Appalachian Trail. 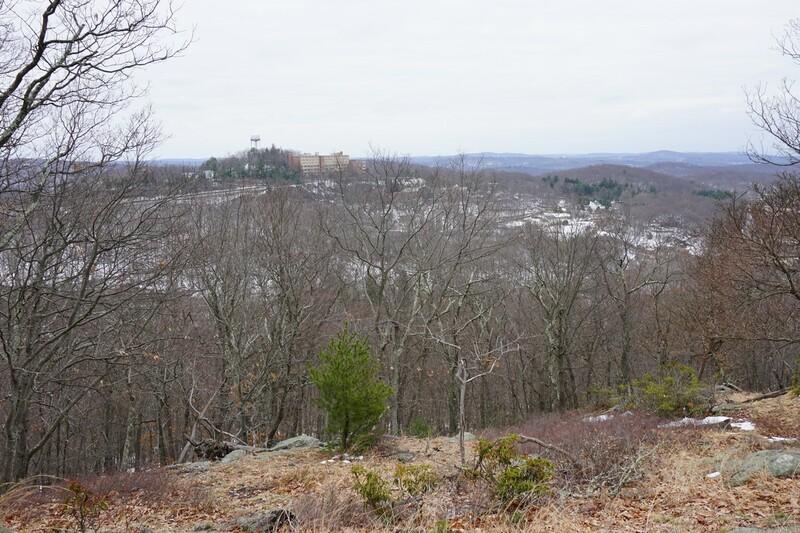 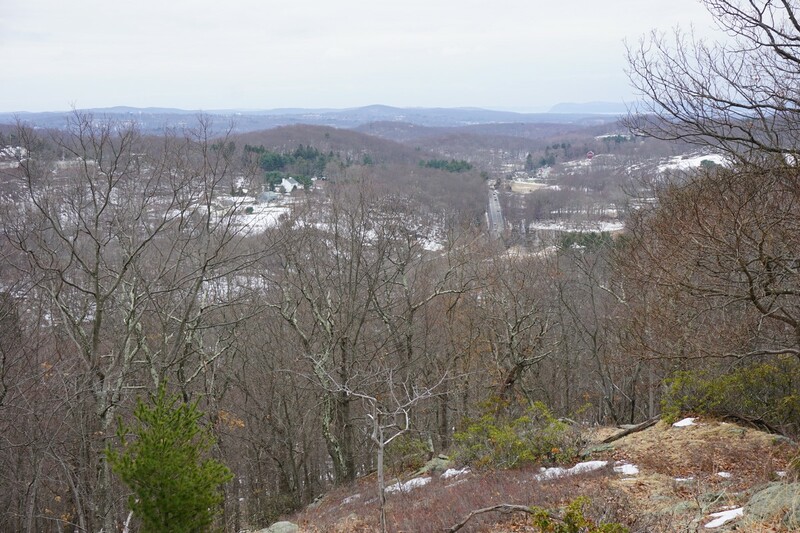 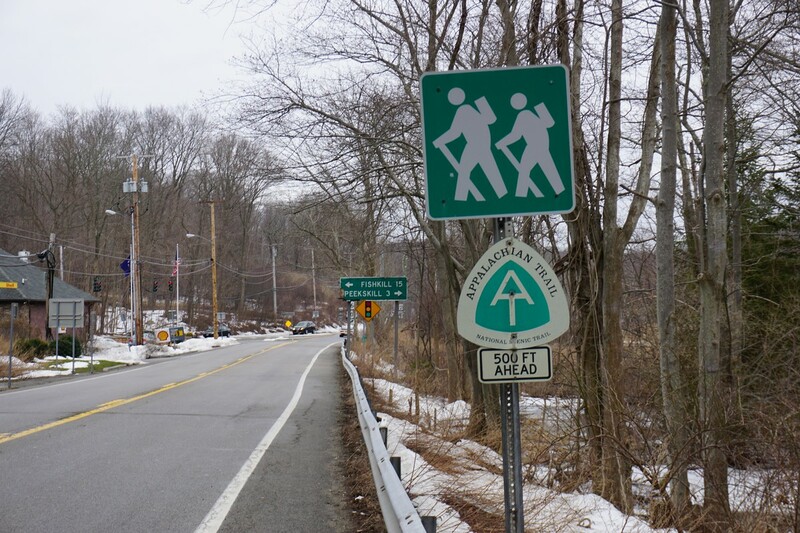 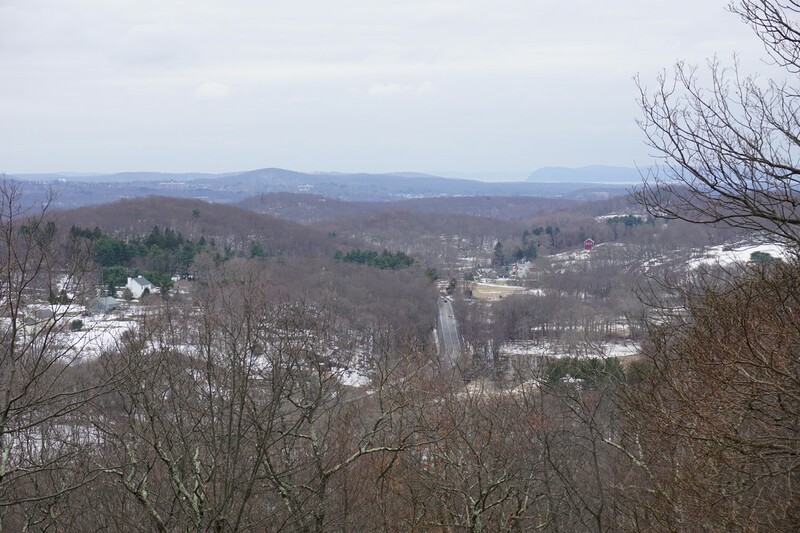 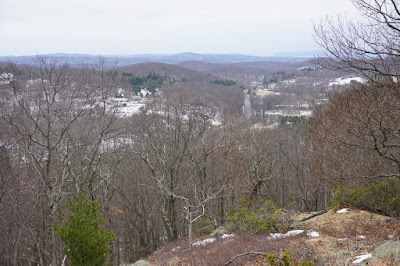 I walked the short distance south on Route 403 to the Appalachian Trail. The beginning of the hike features a boardwalk going over a swamp area, and the boardwalk is quite dilapidated and in need of repairs. 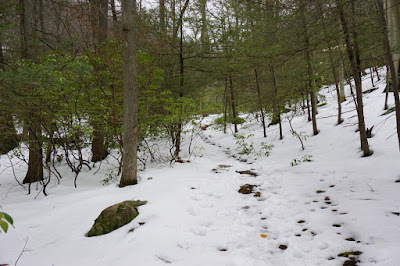 I continued along the Trail as it climbs the mountain gradually in a scenic valley beside a stream. 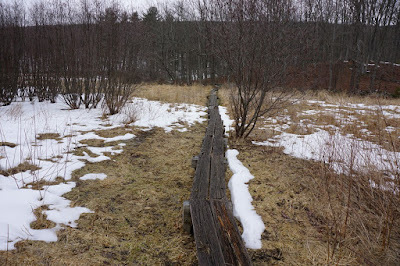 At the trail intersection of the Carriage Connector Trail, I continued in the same direction along Carriage Connector Trail climbing the the valley until the trail headed east and then intersected the Osborn Loop by a small pond. 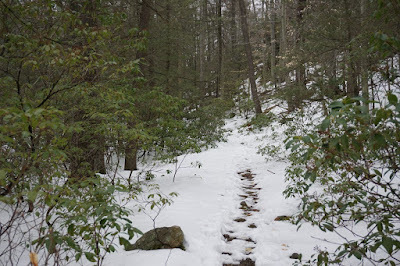 All along the route, I was very much enjoying the dense greenery of the evergreen mountain laurels and hemlocks, especially in contrast with the snow. 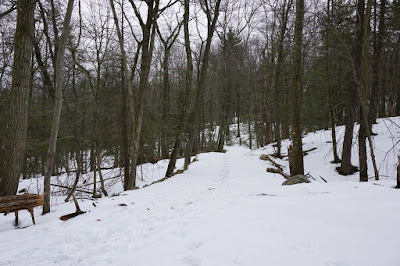 I continued up the Osborn Trail to the highest part of the trail, which unfortunately featured no view. 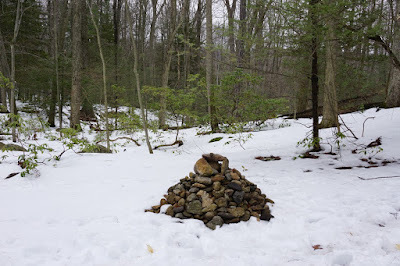 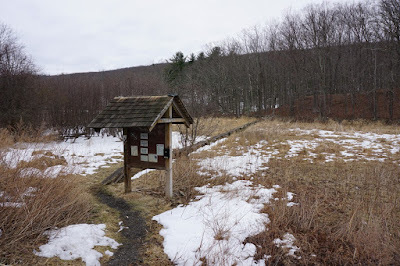 Right after the high point, I reached the Intersection of the Appalachian Trail, which I took down the mountain to where it connects to the Carriage Connector Trail. 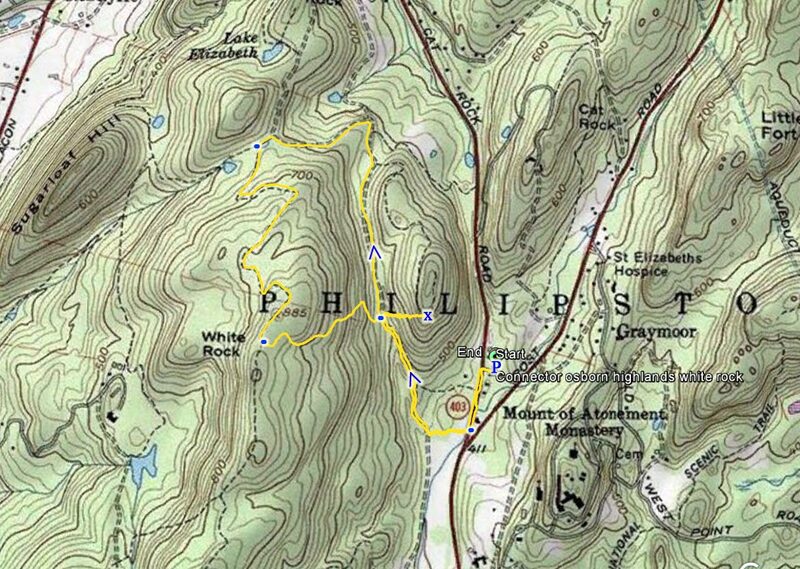 At this point realizing I still had a bit of time, I bushwacked up the hill up ahead which showed a view on the map, labelled as "White Rock." 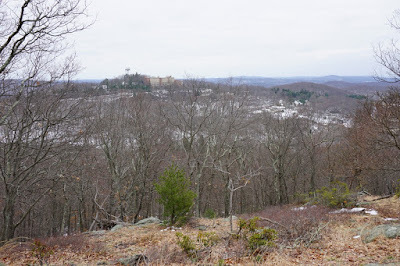 I climbed the steep ascent to the view, and on the top I noticed that one of the gloves that I had placed in my pocket was missing. 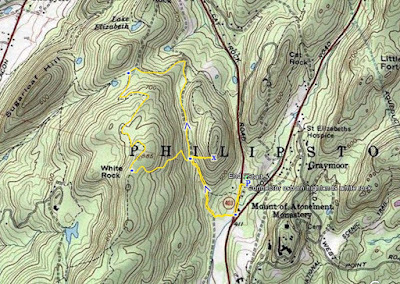 I therefore opted to take the same route down the hill so I can trace the route, and actually found my glove right at the bottom at the intersection of the Appalachian and Carriage Connector Trails. 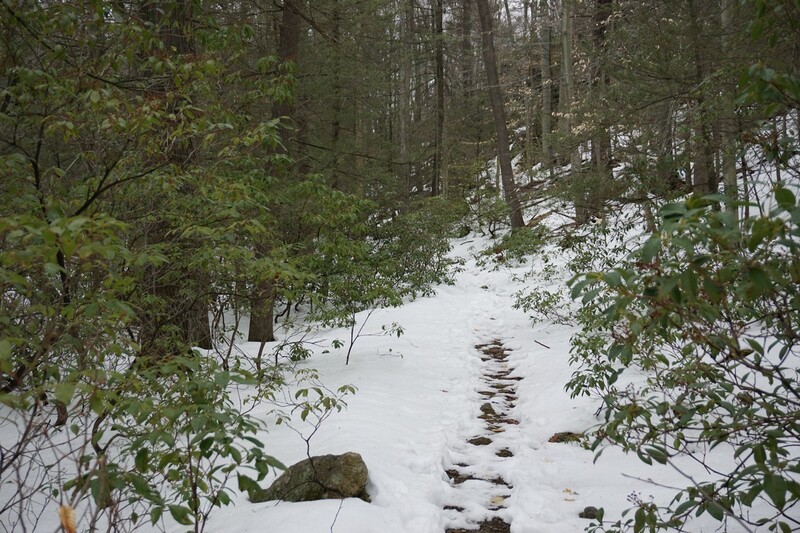 I then took the Appalachian Trail back to my car.